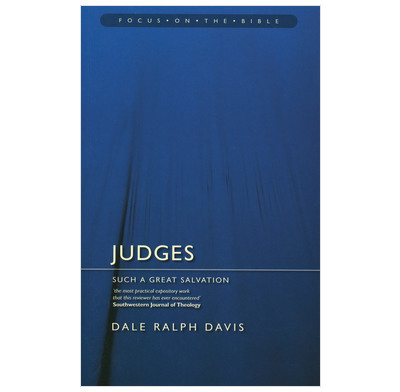 Ralph Davis here makes Judges digestible by analysing the major literary and theological themes in each section. The Church has a problem with Judges; it is so earthy, puzzling, primitive and violent - so much so that the Church can barely stomach it. To may it falls under the category of 'embarrassing scripture'. Such an attitude is, of course, wrong - so Ralph Davis here makes Judges digestible by analysing the major literary and theological themes discovered in each section. He provides a 'theocentric' exposition that rings with practical relevance. Dale Ralph Davis is pastor of Woodland Presbyterian Church, Hattiesburg, Mississippi, and was previously professor of Old Testament at Reformed Theological Seminary, Jackson, Mississippi. This commentry has helped me tremendously in preparing to preach on Jephthah.It is so clear and practical in its application and I would highly recommend it to all who desire an understanding in the book of Judges.